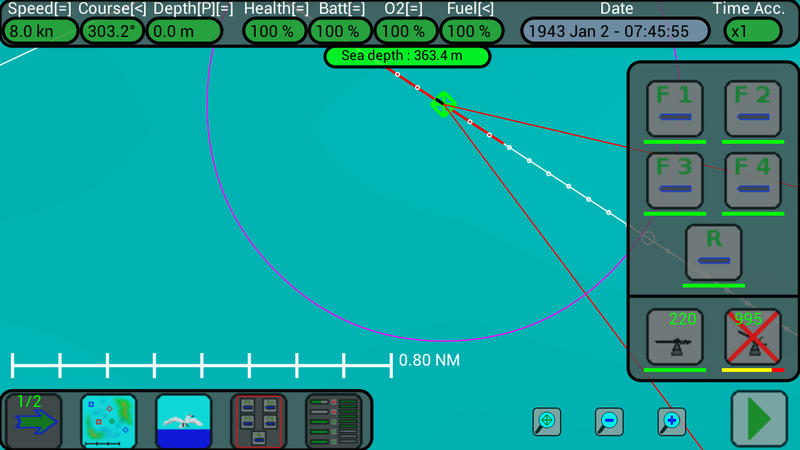 When the submarine rises to surface, your AA gun needs 4 seconds to be ready and can fire a burst of 5 rounds every second; you have 1000 rounds and when they are finished you can call the torpedoes transport to replenish them (only in the Full version of the game). 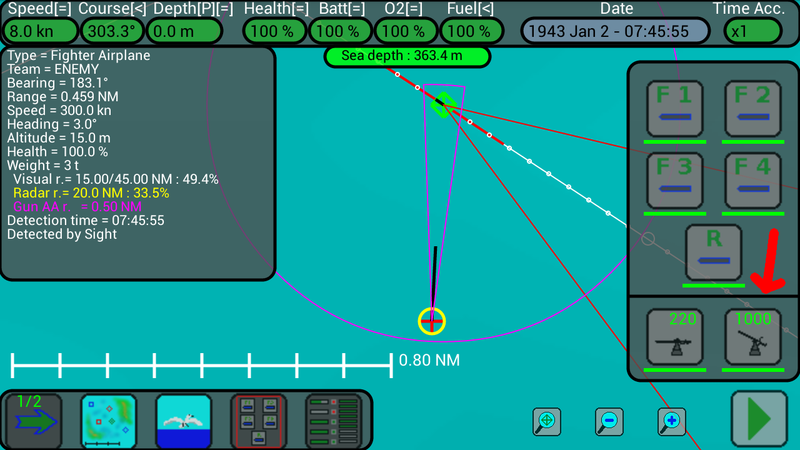 It can be used against all aircrafts incoming from every directions (look at the previous image, the violet circle shows your AA gun range). 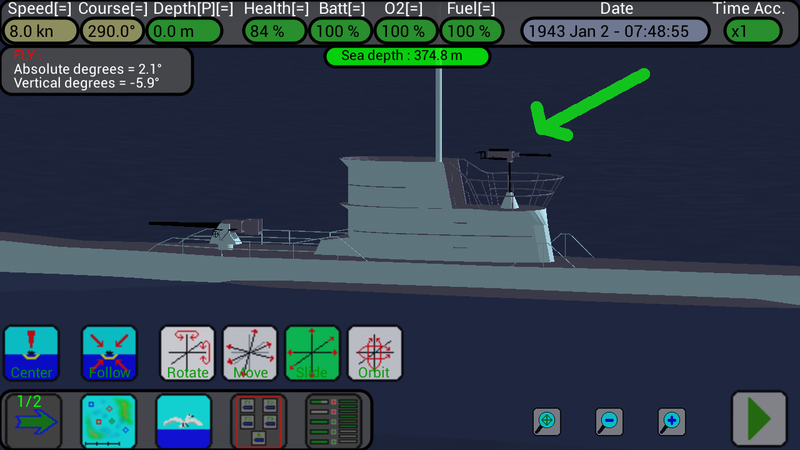 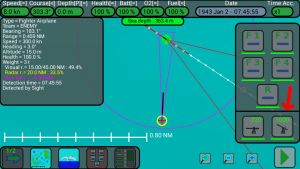 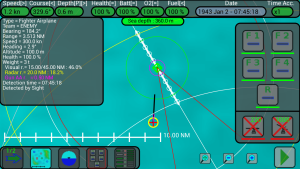 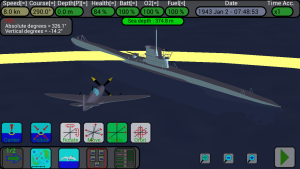 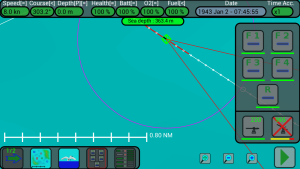 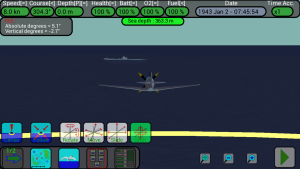 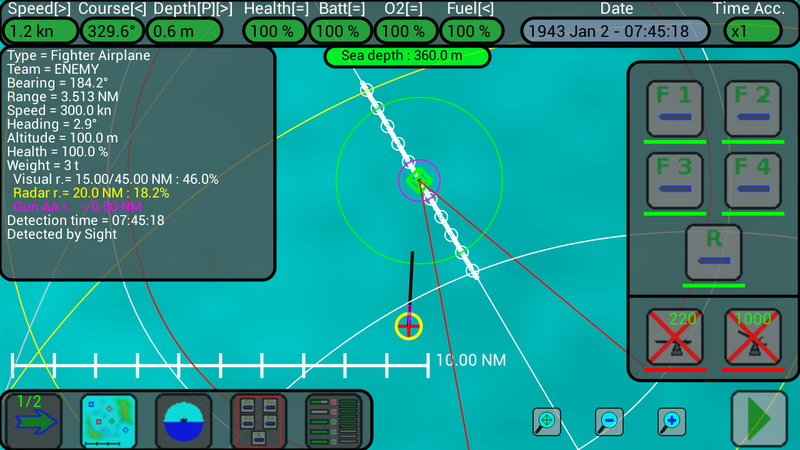 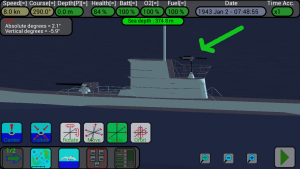 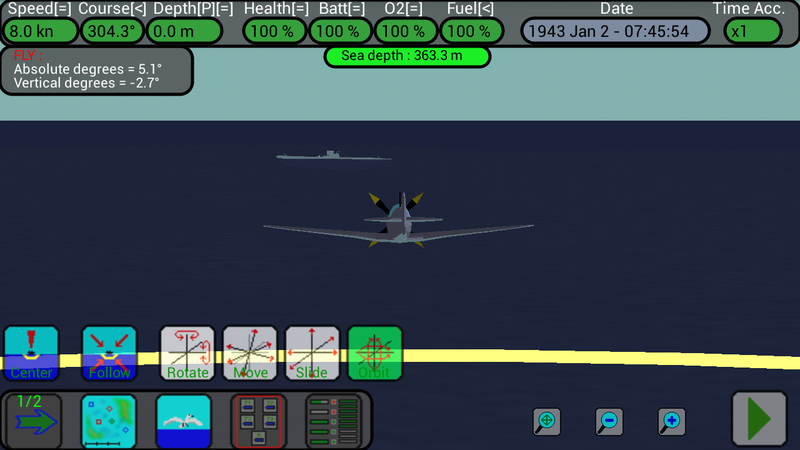 Be really careful, also enemy aircrafts have guns (patrol aircrafts have also 8 depth charges) and they can be very dangerous for your hull; you can try to destroy patrol aircrafts but if you meet the fighters (launched by the aircraft carriers) it is better to dive very fast and avoid them !! 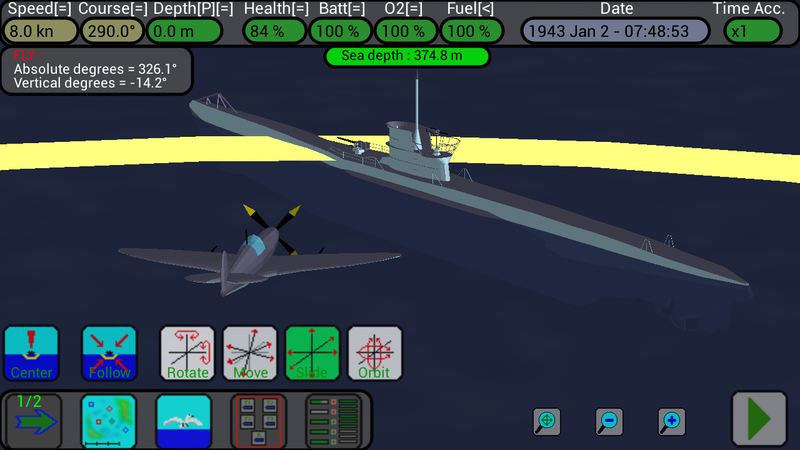 Usually a single burst can destroy a fighter, it this case the fighter was only damaged (its health is 65%) and is returning to its carrier. 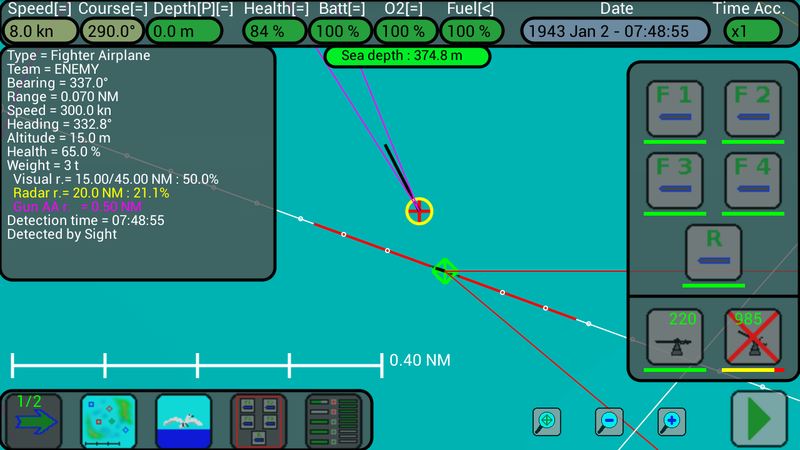 Hint : when the option “Pause game when hit by enemy” is enabled, the game pauses when an other unit (ship or aircraft) hits your submarine and it can be boring; when I want to attack an aircraft I usually keep this option disabled, I select the aircraft on the map and I press repeatedly the AA gun button until the aircraft is destroyed !